Shocking: NGK teaser leaked online! One of the most talked about films in recent times is Suriya’s NGK under Selvaraghavan’s direction which has been carrying massive expectations since its announcement. Touted to be an action political drama, NGK produced by Dream Warrior Pictures has music by Yuvan Shankar Raja and includes Sai Pallavi and Rakul Preet Singh playing the female leads. It was earlier made official that the most awaited teaser of NGK will be officially launched tomorrow, on the occasion of Valentine's day. 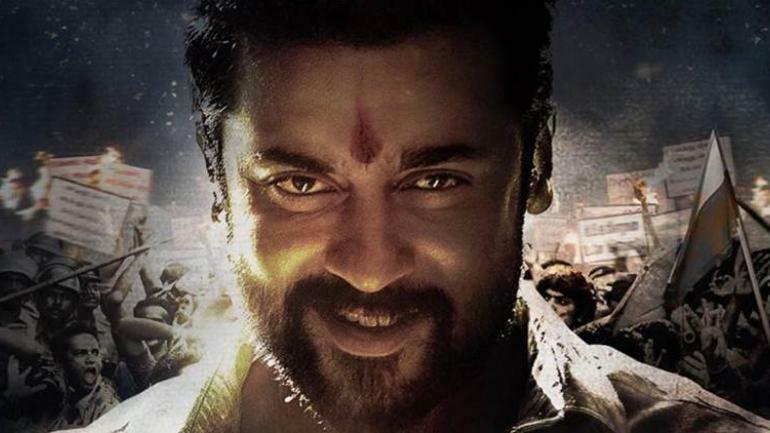 A 1-minute rough teaser cut of NGK has now been leaked online. We had already reported that NGK's teaser will be attached with Dev's theatrical release, tomorrow, 14th February. Since Dev's overseas premier has already begun, looks like the leaked teaser has been shot from the premier show. Please do not watch the teaser using such pirated methods. Stay tuned to watch the teaser once it is officially released tomorrow.